BREAKING: Mitch McConnell to unhinge jaw and swallow all Trump nominees whole. We’re less than two weeks until the man of the people remakes the Oval Office in gold accents. All the fantasies about an Electoral College miracle or a Merrick Garland surprise appointment are gone. Hearings start this week for Trump’s cabinet nominations. Stuff’s about to get very real. Rick Perry and his glasses will be in charge of our nuclear defenses. You can choose your own adventure for this week’s inspirational videos – depending if you’re preparing yourself for battle or just need a good ol’ fashioned fist pump. This week, we had the big second act reveal in the new reality show version of The Manchurian Candidate that we are all trapped in. In this week’s episode: US Intelligence said the Russians hack ed us, Putin ordered the hack to get Trump elected, and Russian intelligence gave the information to WikiLeaks. Hopefully we won’t have to wait until sweeps to find out what Trump knew and when. The US Intelligence Community briefed Trump on all of this on Friday and made public its analysis of what occurred. “Russia, China, other countries, outside groups and people are consistently trying to break through . . .” – Donald, we’re only talking about Russia here. “There were attempts to hack the Republican National Committee, but the RNC had strong hacking defenses and the hackers were unsuccessful.” – Not true. The report notes that Republican assets were hacked, but information has not (yet) been leaked. The hacking had “absolutely no effect on the outcome of the election” – Unknown. Although Trump spent every campaign stop bringing up the emails and saying “I love WikiLeaks.” More importantly though, who cares? The attack on the US is the issue the President needs to deal with. Trump defends himself first, before the country. “Only reason the hacking of the poorly defended DNC is discussed is that the loss by the Dems was so big that they are totally embarrassed!” – So it’s the victim’s fault and the Democrats are bringing this up for spite? This bodes well for Trump’s defense of sexual assault victims. “Having a good relationship with Russia is a good thing, not a bad thing. Only ‘stupid’ people, or fools, would think that it is bad!” – Trump really, really loves Russia. Replace Russia with China in this whole incident and he’s not making that comment about China. I’m sorry, I almost left out the most important comment. The President-elect decided the best use of his time the morning of the briefing was to taunt Arnold Schwarzenegger for his low ratings in his debut on The Apprentice. Personally, I didn’t mind this because it brings us closer to Arnold taking on Trump in some sort of real life reboot of The Running Man. Republicans have had 10 years to think about all they would do to help the American people when they came to power again. 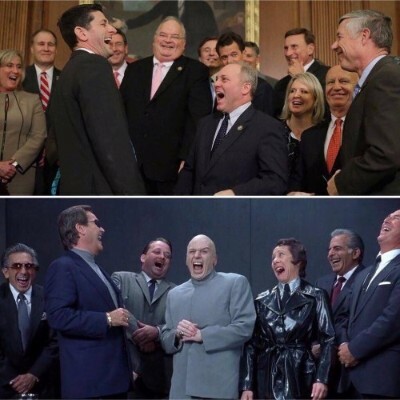 It turns out they are going the Seinfeld route and will be a Congress about (giving you) nothing. GOP passed a law to fine members of Congress $2500 for livestreaming from the House Floor. This is in reaction to the Democrat protest over inaction on guns last year. During that protest, Speaker Paul Ryan ordered the CSPAN cameras turned off. To combat this, Dems began to stream. The new Republican rules package for Congress specifically forbids the Congressional Budget Office from reviewing whether any bill repealing the Affordable Care Act would increase costs. I guess I should add “no fiscal conservatism” to this Congress as well. Republicans dusted off an obscure 1878 rule that allows any member of Congress to bring up for a vote the reduction of a specific federal employee’s salary to $1 or eliminate a specific program. Recall how Trump’s team was asking for the names of federal employees working on climate change . . . . The Republican controlled House quickly passed the REINS – Regulations from the Executive in Need of Scrutiny – Act. This requires any new policy by a regulatory agency that will have an effect in excess of $100 million (a low bar) to get Congressional approval within 70 days or it dies. In practice, this means that an agency that studies an issue for years, goes through a peer-reviewed process to make a recommendation on policy, now needs that policy approved by the non-experts in Congress. It’s a huge step in removing experts from making decisions and instead putting politicians, and those that fund them, in control. This awaits Senate approval. In our terrible year, at least we had President Obama setting a few things straight before he left, right? Nope, the House GOP also passed the Midnight Rules Relief Act which would CTRL-Z all of the regulations finalized since May 17, 2016. That’s 200 regulations. This also awaits Senate approval. Republicans are pushing to take away health care from 22 million people by eliminating the Affordable Care Act as well as leaving millions without a doctor by stopping Medicare and Title X (family planning services) reimbursements to Planned Parenthood. The Trump cabinet hearings begin in the Senate next week. 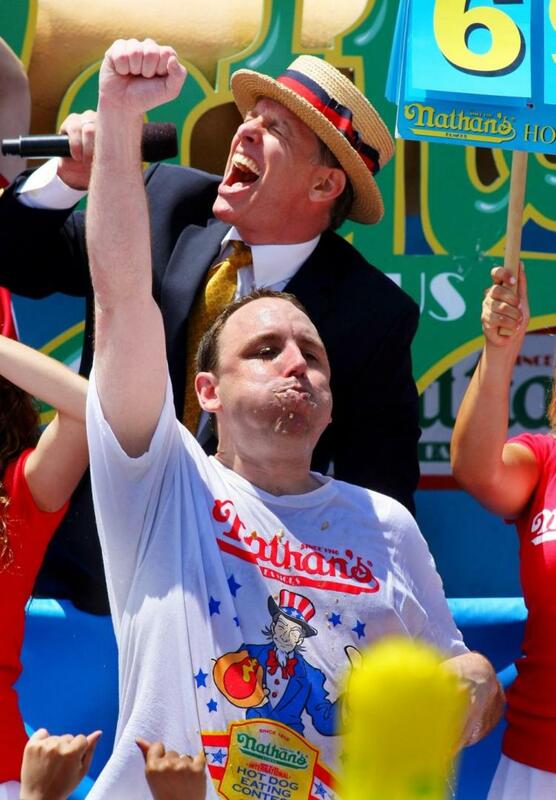 Modeling their confirmation strategy after America’s greatest contribution to the world, competitive eating, the Republicans are jamming as many nominees through the process as quickly as possible in order to override the body politic’s defenses. It’s a winning strategy, but one that may cause us to become violently ill afterwards. The Office of Government Ethics has stated it has not had time or received enough information to complete its review of some of the nominees before the scheduled hearings. Approving an appointee prior to the ethics review is, according to the OGE Director, unprecedented in the agency’s 40-year existence. Call your Senators to tell them to support Elizabeth Warren’s call to have no hearings until the ethics screenings are done. Hearings for six nominees are all scheduled for next Wednesday, including some of the most controversial, Secretary of State and Secretary of Education. Also, scheduled for Wednesday is Trump’s first press conference since June. Democrats and the press will have tremendous difficulty focusing the public’s attention on all of it. Republicans will only allow Democrats to call four witnesses in the hearing for Attorney General nominee Jeff Sessions, which will last just two days. Contrast this with hearings for George W.’s nominee John Ashcroft, which had 23 witnesses over 4 days. In 1986, when Sessions was up for a federal judgeship (he was denied due to being a terrible person), the hearings lasted three days and there were dozens of witnesses called. We usually don’t feature images burning through social media, but this one captured the past week just too well to pass up. President Trump to Try Replace as Many Jobs as Those Lost by Businessman Trump – Trump’s new DC hotel now has $5 million in unpaid worker liens. Hey Russia, That Looks Like Fun, Can We Play Too? – Breitbart, the website founded by Trump Chief Strategist Steve Bannon, was called out for publishing fake news in Germany about a mob chanting Allahu Akhbar and lighting a church. This event did not occur. Don’t Let the Embassy Door Hit You on the Way Out – Breaking precedent, Trump has demanded that all ambassadors leave by inauguration day. This may leave the US without ambassadors in major countries like Germany and Britain for months. About That Wall – Looks like Mexico got up to go to the bathroom when the bill for that wall across the border came. Trump will now ask Congress, i.e. taxpayers, i.e. you, to pay for it. That Other Problematic Wall – Trump’s relationship with another wall, Wall St., is a huge concern. Although we still haven’t seen his tax returns, the Wall Street Journal reports that the Trump Organization owes hundreds of millions to over 150 financial institutions. Some of this debt is secured with a personal guarantee from the President-elect. This is a tremendous conflict of interest. Troubling, it may be his least dangerous conflict, as we still don’t know how much he may owe to Russian oligarchs. We seem to have lost contact with the Trump-Pence transition since the election. Started as all things do these days, with a small Facebook group, the Women’s March on Washington expects over 100,000 people to descend on the nation’s capital to protest newly inaugurated President Trump on January 21. Can’t make it to D.C.? Plans for local protests have sprung up around the world. Yes, there are protests planned in 20 cities outside of the U.S. If someone in Copenhagen can take time out of their lovely Scandinavian day to protest the U.S. President (quick: who’s the Danish Prime Minister? quick again: do they even have a Prime Minister? ), then you should too! Find your local march here. The website factba.se, now lets you easily search every Trump speech, tweet, and fever dream. The hearings on Trump’s Cabinet begin this week. Call your Senators and tell them you expect them to grill these nominees and that there should be no vote until the ethics investigation is done! Previous Post:Vol. 7 – Day 53 P.E. Next Post:Vol. 9 – Day 67 P.E.